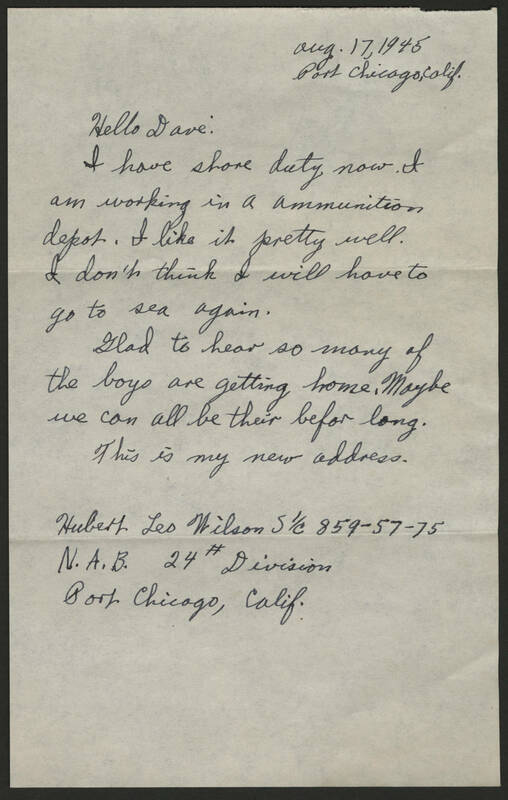 Aug. 17, 1945 Port Chicago, Calif. Hello Dave: I have shore duty now. I am working in an ammunition depot. I like it pretty well. I don't think I will have to go to sea again. Glad to hear so many of the boys are getting home. Maybe we can all be their befor long. This is my new address. Hubert Leo Wilson S 1/c 859-57-75 N.A.B. 24 # Division Port Chicago, Calif.